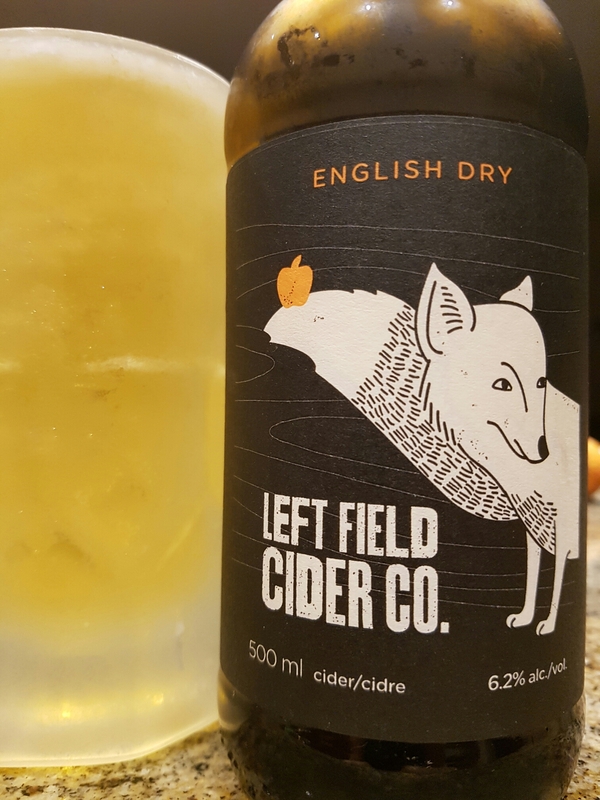 English Dry Cider – Left Field Cider Co. (Logan Lake, BC, Canada) | Justintoxicated. Visual: Pours clear light straw yellow, no head, very thin ringed retention, lots of steady small CO2 streams. Finish: light woody, thickened saliva, sticky gums, somewhat rough tart finish. Summary: Like their Big and Little Dry ciders, this one also has a very clean apple taste profile. Although I had the Big Dry last month, from what I can recall this English Dry mirrors the Big Dry almost exactly but with 1% lower ABV. In any case both are only slightly above average and not worth trying again.